1, the diameter of 1800 mm * 2050 vacuum chamber within one table (according to customer needs and order). 2, H - 150 plunger pump two sets. 3, 1200 roots pump station (Shanghai). 4, KT - 800 diffusion pump two units, 800 pneumatic valve diameter two sets of 800 cold trap two pieces. 5, 2 x - 30 liters maintain pump station. 6, vacuum piping one whole set (including bellows 3 only). 7, with a touch screen and PLC control (import schneider, 10 inch panel (touch screen), electric control cabinet with vacuum JiYi station display, inverter one, main machine tools and appliances with suzhou suzhou Siemens; Can also according to customer requirements, set to automatic and manual, semiautomatic control. 9, artifacts located in double open the door, inside six axis wheelbase 590 mm, wheelbase 440 mm, outside nine axis, workpiece frame length is 1850 mm. 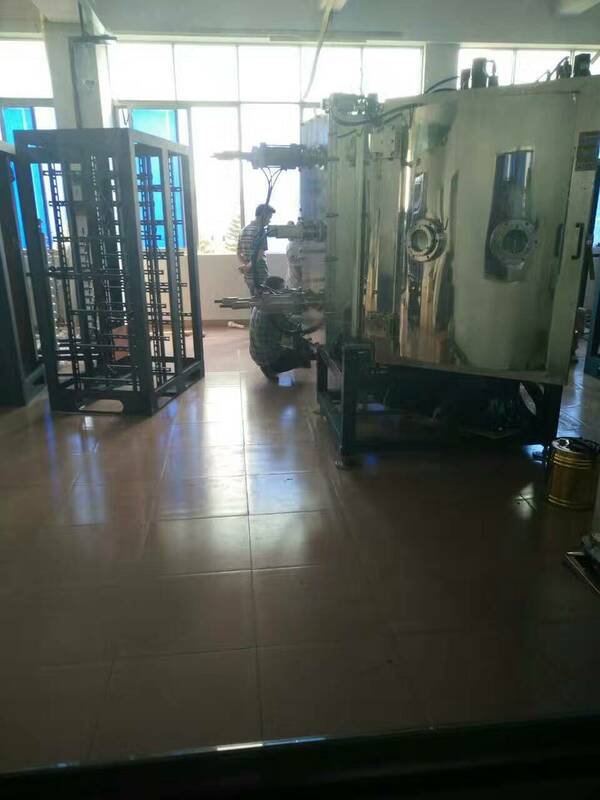 Vacuum Metallization Machine is mainly used in the surface of the plastic products, ceramics and other pre-treated by the vapor-deposited metal film (aluminum, chrome, stainless steel and other metals), colorful film and imitation gold film, thereby obtaining a bright, beautiful, inexpensive plastic and ceramic surfaces metalized products. Widely used in decoration decoration, lighting, furniture, toys, bottle caps, heel women's shoes, car mirrors, crafts, jewelry, shoes, watches, mobile phones, DVD, MP3, PDA case, cosmetic case and Christmas gifts industry. Processable materials include ABS, PS, PP, PC, PVC, nylon, metal, glass, ceramics, TPU materials. Plating effect: general plating glossy, matte (half-mute, all dumb), the electroplating process wrinkles, drawing, raindrops, colorful. Alarm and protect	 Pressure alarm, pressure alarm, over-current protection, execute the corresponding protection measures and electric interlock function. Looking for ideal Vacuum Metallization Machine Manufacturer & supplier ? We have a wide selection at great prices to help you get creative. All the Vacuum Metallizer are quality guaranteed. We are China Origin Factory of Metallizing Machines. If you have any question, please feel free to contact us.